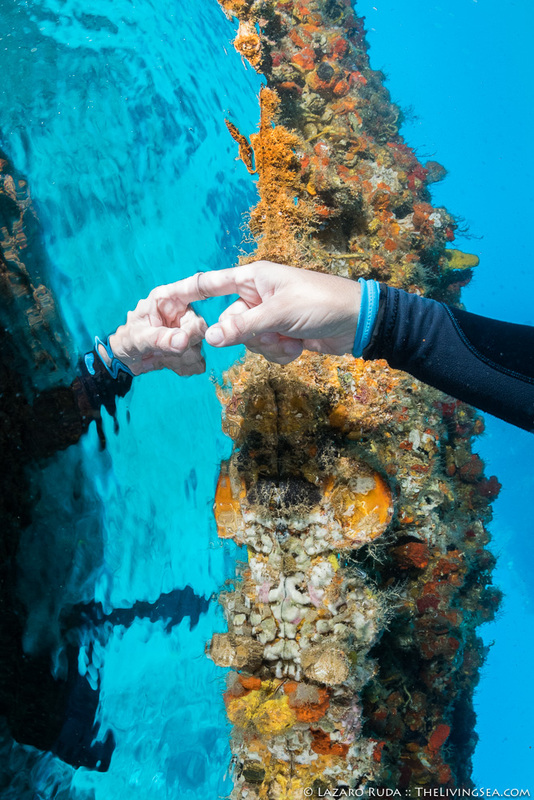 Take one peak under the sea and it’s easy to feel as though you’ve been transported to the world of Alice in Wonderland. The cast of characters, in their resplendent colors and shapes, play the parts very well. 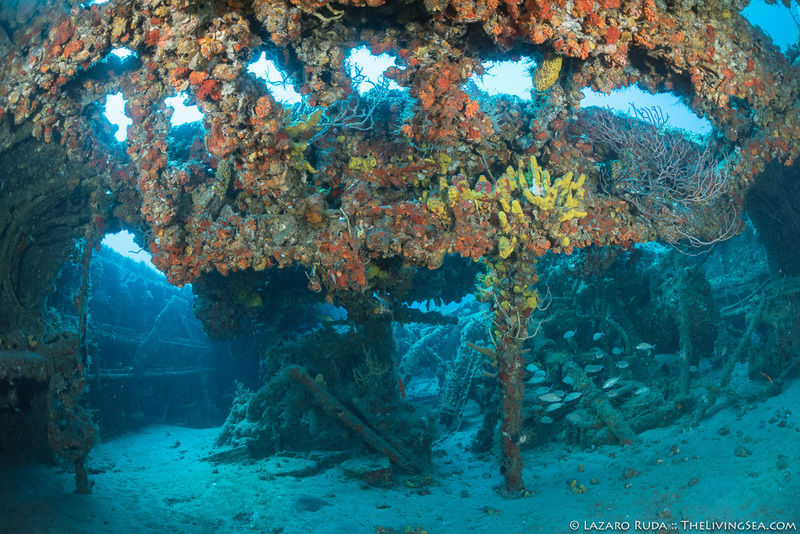 And no where does the colorful landscape imagined by Lewis Carroll feel more real than taking one glimpse at the reefs and wrecks of West Palm Beach. This is real! No Photoshop trickery here. 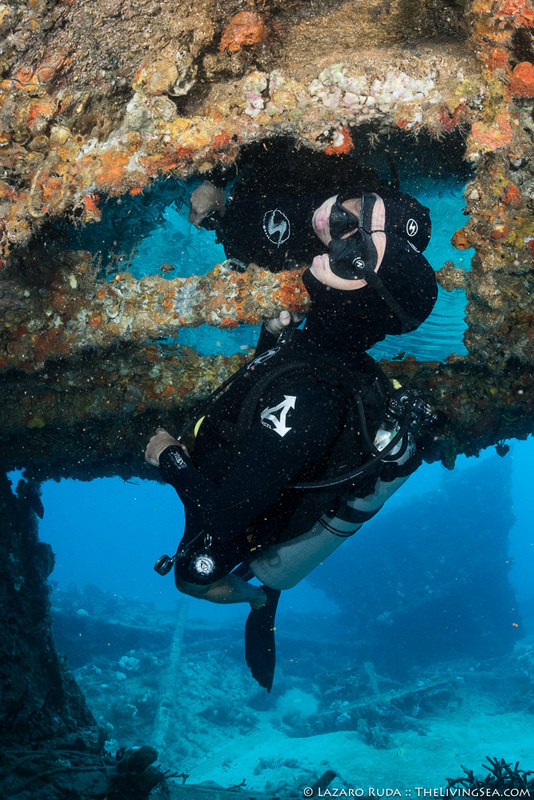 During today’s dive on the Corridor wrecks, Allison found herself enchanted by the Looking-Glass. The temptation was too much! She reached her hand through this magical mirror and found herself in another world — ALLISon Wonderland. Many of the characters from this zany world awaited ALLISon — the Mock Turtle, the Fish Footman, the Red Queen angelfish, and even the Cheshire Cat fish were here! Was Laz to follow ALLISon into this magical world? <Spoiler Alert> Thankfully, he didn’t go any further or he would have ended up with a head as big as the Red Queen from banging it on the roof of the Mitzpah ship wreck. The magical mirror was nothing more than a large air pocket! But everything else around them seemed just as magical as in ALLISon Wonderland. 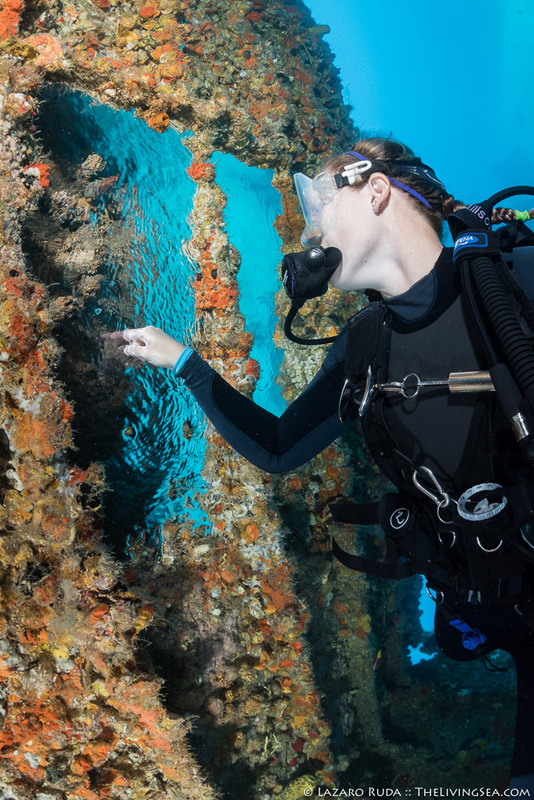 Beautiful blue warm water… Over a dozen goliath groupers… sea turtles… angelfish… And much more! 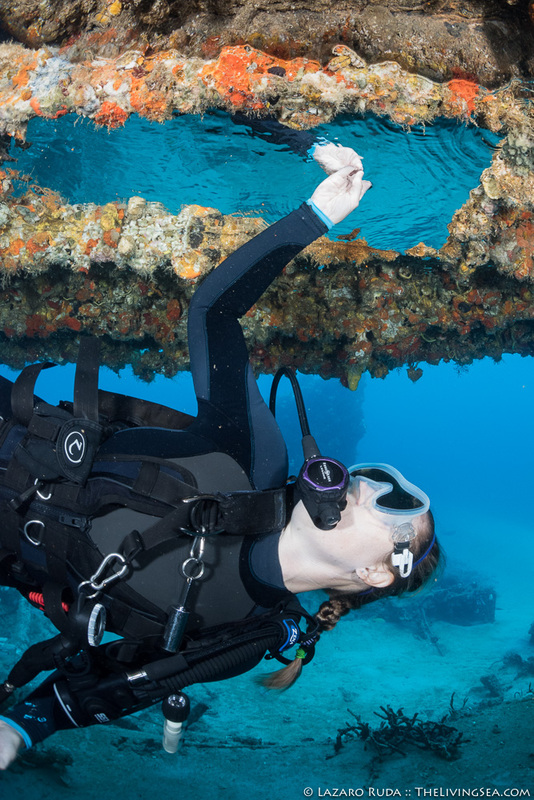 It doesn’t take too much of an imagination to imagine yourself in a completely different world down here scuba diving in West Palm Beach. Side note: Ready to be transported to your own ALLISon Wonderland? 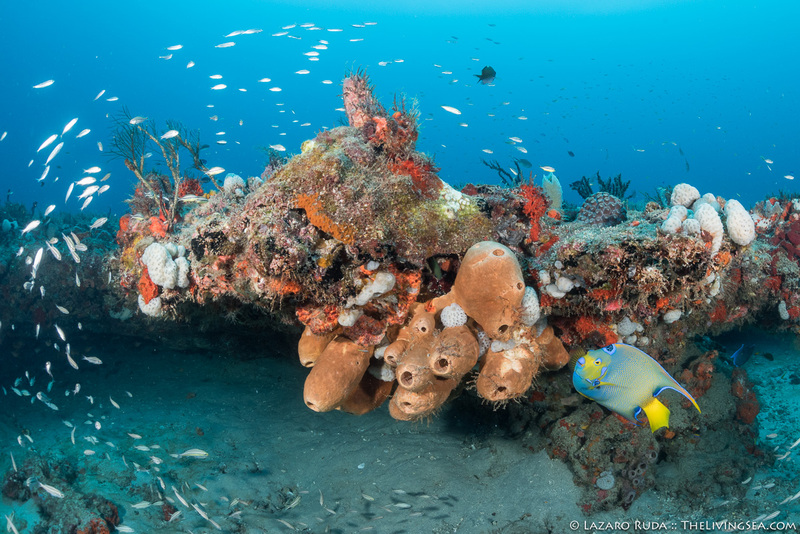 Next time you’re diving the reefs in Palm Beach consider flooding your mask completely while hovering high above the reef. Open your eyes (if you’re not too sensitive to the salt water) for a few seconds as you drift along. You will find yourself immersed in a kaleidoscopic wonderland like you’ve probably never seen before. It’s fun! Try it out if you feel comfortable doing so, but please be sure not to hurt yourself or the reef in the process.